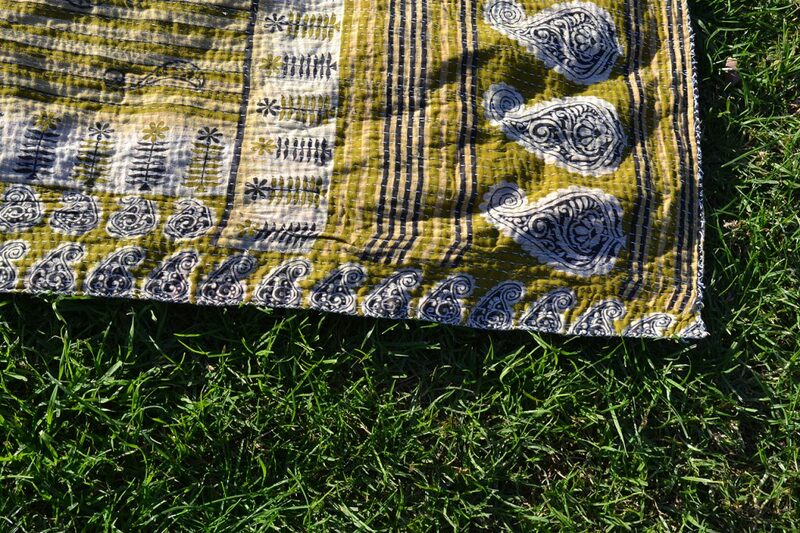 Beautiful Dhara ~ majestic, easy-going, happy & free. 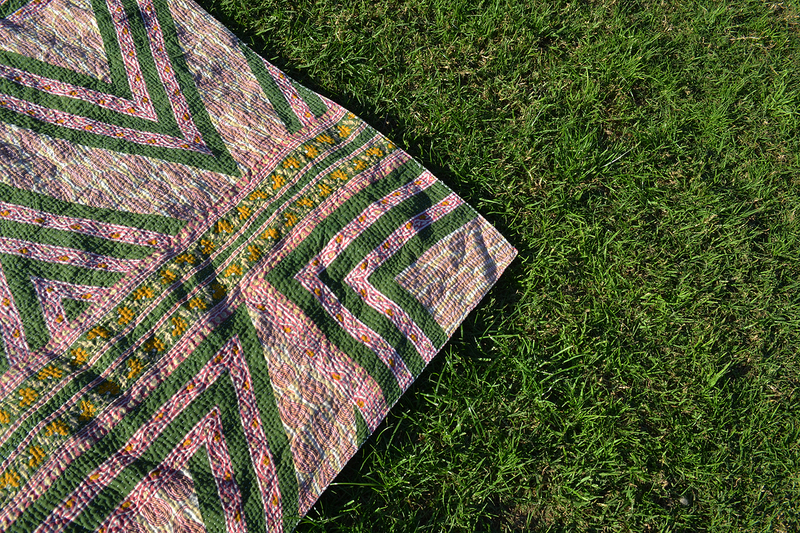 Combination of chevron and florals, a lovely match of colour and pattern. 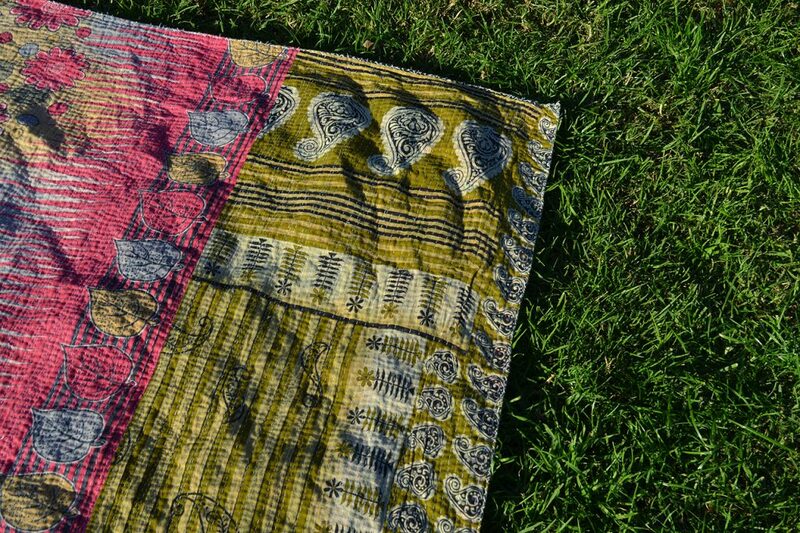 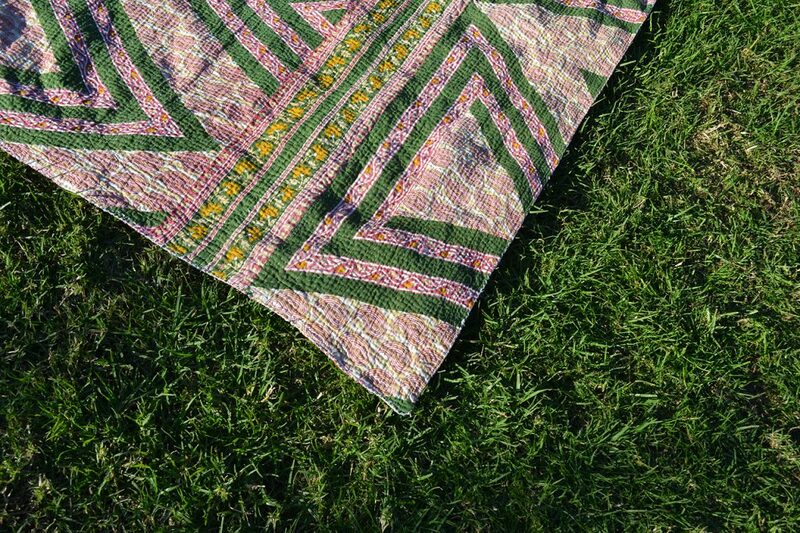 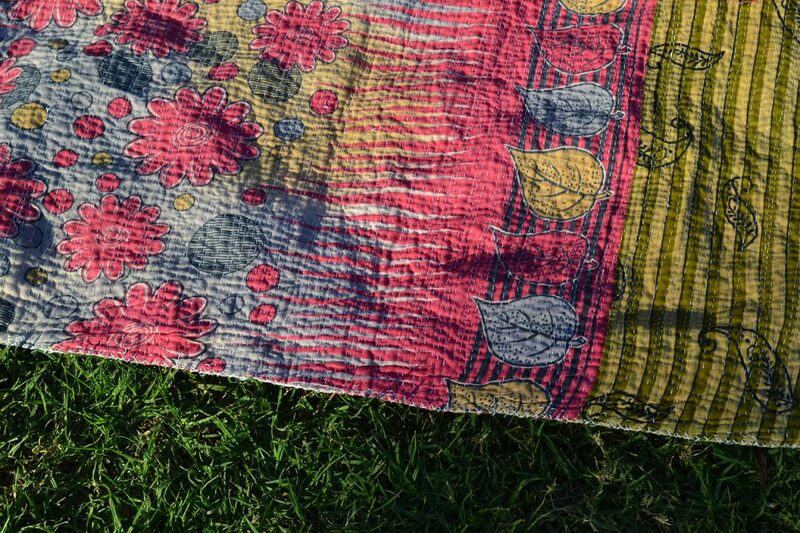 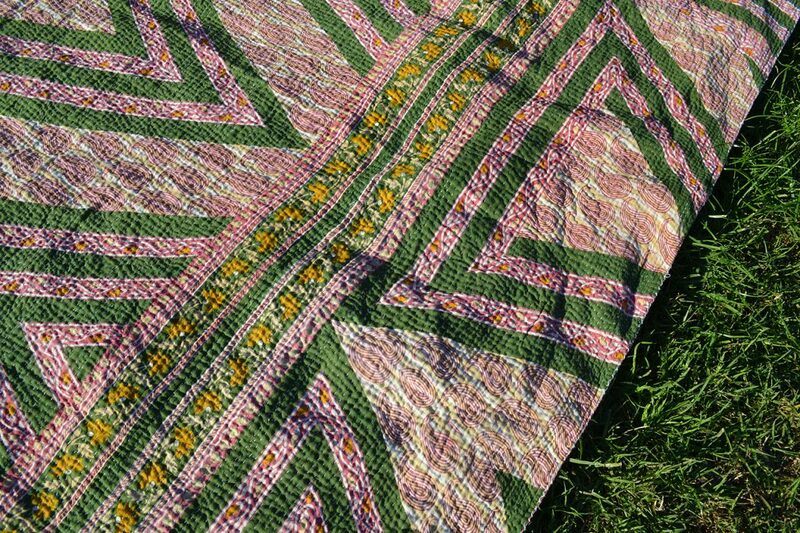 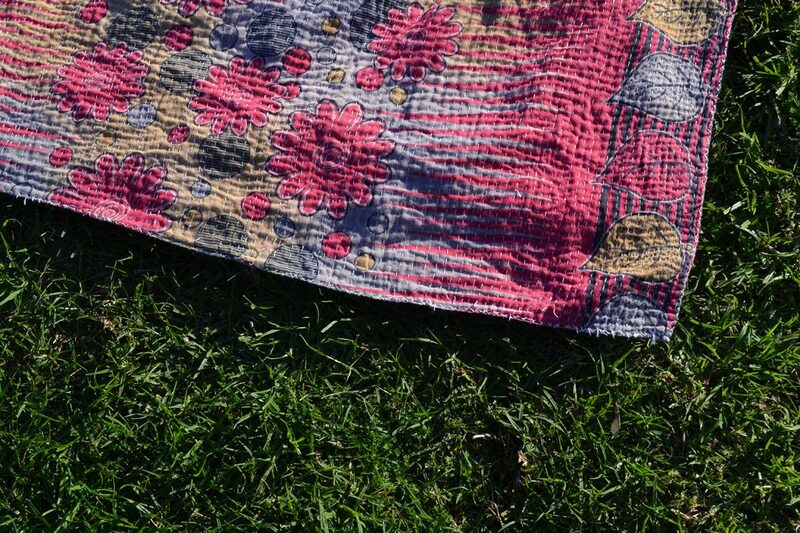 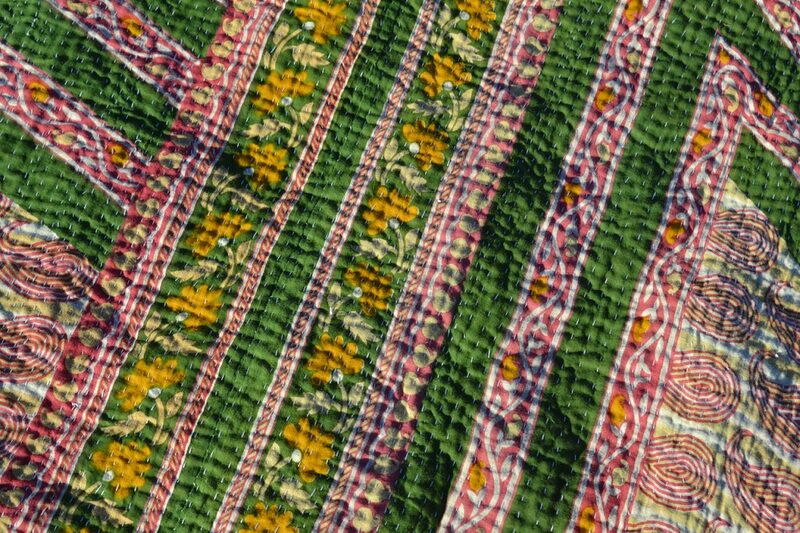 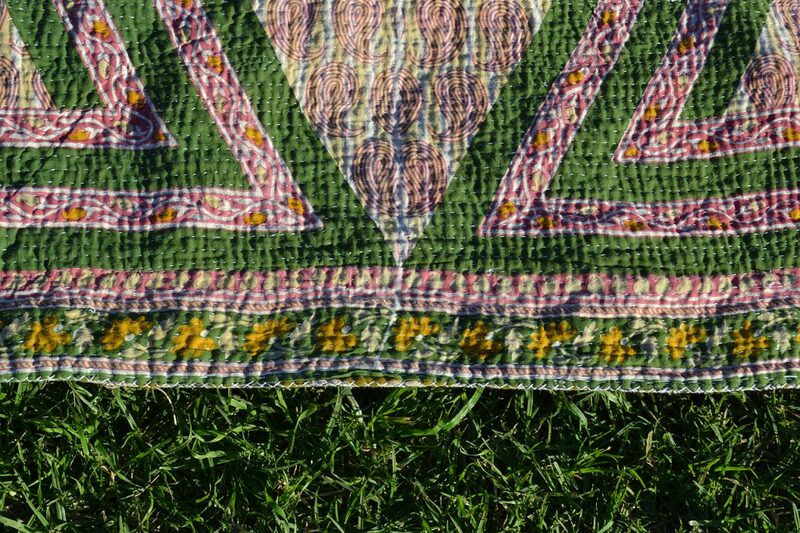 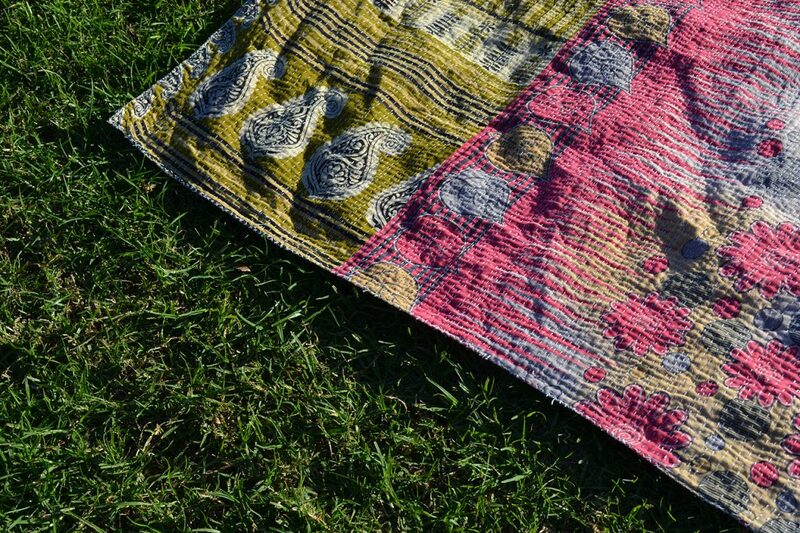 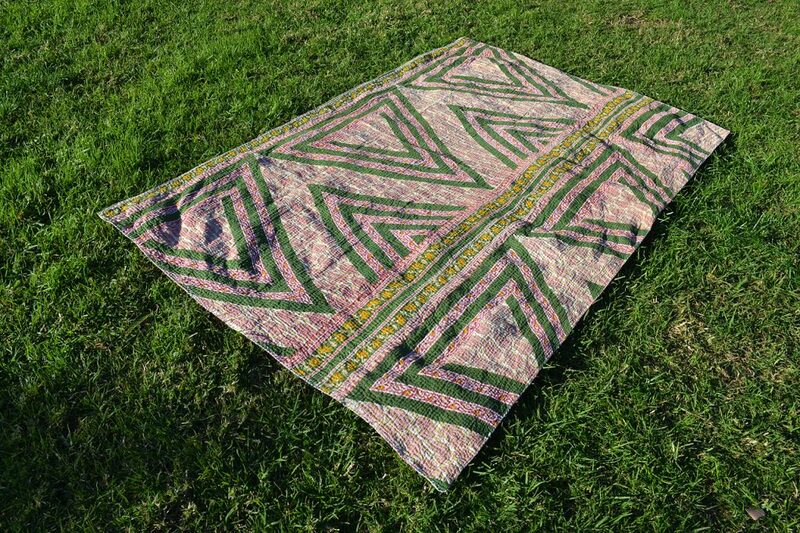 Greens, such as forest and olive matched with pinks make this kantha quilt suitable for everybody ~ children, adults, babies. 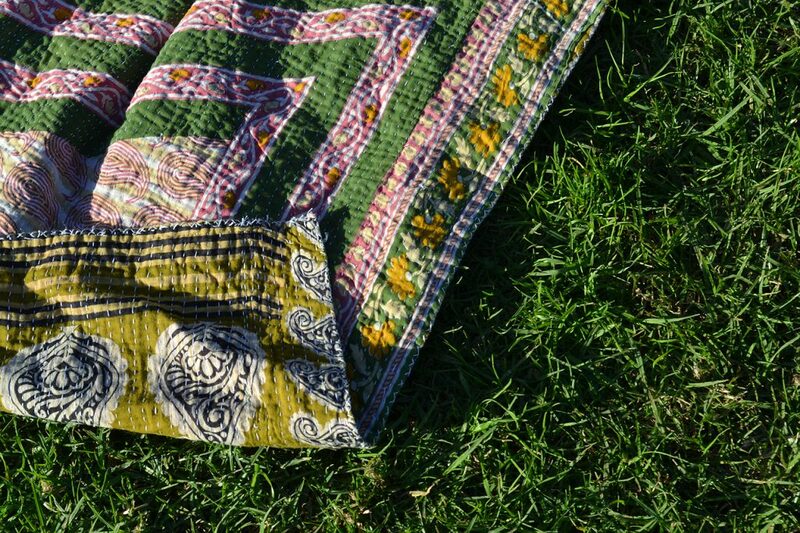 This quilt would go well in the kids room as a kids quilt, kids bedding, kids bed throw, toddler and baby playmat. 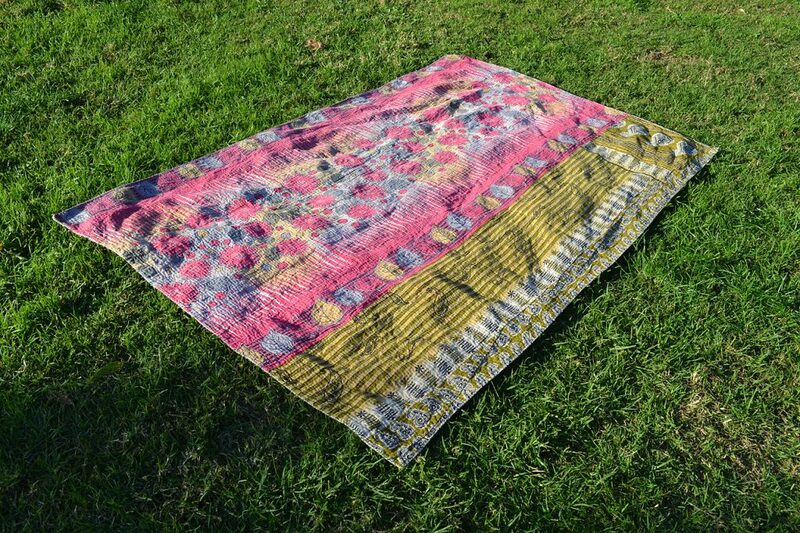 Available in The Kantha Project shop here.